WASHINGTON (CNS) — The Supreme Court’s decision May 29 not to hear a case against an Arkansas abortion law, thus letting the state’s restrictions on abortion-inducing drugs stand, will have broad impact, say those on both sides of the issue. The Arkansas law, called the Abortion-Inducing Drugs Safety Act, requires doctors who prescribe abortion-inducing drugs to have a contract with another doctor who has hospital admitting privileges and who will agree to handle emergencies and admit patients to a nearby hospital if necessary. Sponsors of the law described it as a safety measure to ensure that potential complications from the administered drugs could be quickly treated. Planned Parenthood sued to block the law saying it was not medically necessary because women could go to the emergency room if they experienced complications. The Planned Parenthood affiliate that offered medically-induced abortions at two Arkansas health clinics, said these clinics could not find doctors willing to accept a contract and would be forced to close these clinics once law went into effect in mid-July. In its lawsuit, Planned Parenthood said the law placed an undue burden on a woman’s right to choose an abortion. 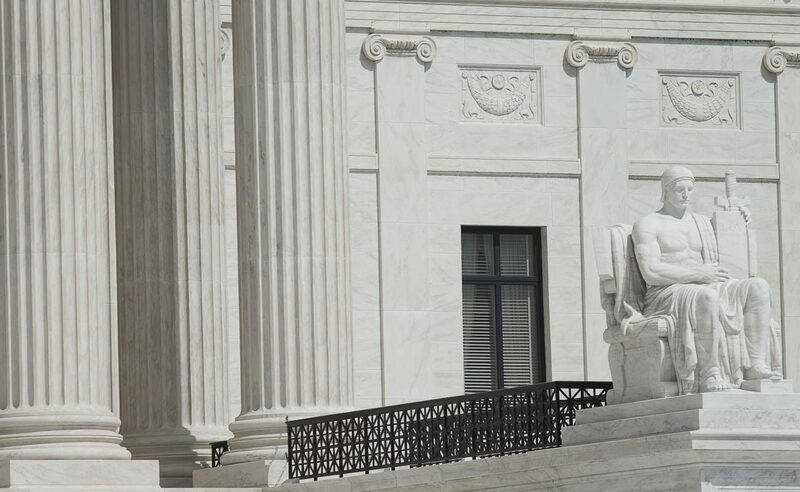 The Supreme Court, which is wrapping up its current court session and issuing decisions on cases it will take up announced without any explanation that it would not take on the challenge to the Arkansas abortion law. In 2016, a federal trial judge blocked the Arkansas law from going into effect, questioning if the state’s restrictions provided medical benefits. Last year, the Eighth Circuit Court of Appeals ordered the lower court’s ruling to be lifted and sent the case back to the trial judge to find an estimate of how many women would be burdened by the requirement of having a physician contract. The appeals court allowed the stay to remain until the Supreme Court decided if it would hear the case. The Arkansas law is much like a Texas law that the Supreme Court voted against two years ago. In its 5-3 decision, the U.S. Supreme Court struck down restrictions on Texas abortion clinics that required them to comply with standards of ambulatory surgical centers and required their doctors to have admitting privileges at local hospitals. The U.S. Conference of Catholic Bishops and other religious groups submitted a joint friend of the court brief supporting the Texas law. The court’s current decision not to take up the Arkansas abortion restrictions prompted positive and negative reaction. In the meantime, attention will be on Missouri, which enacted similar regulation last year requiring providers of medication-induced abortion to contract with a doctor with admitting privileges at a nearby hospital. Planned Parenthood similarly filed a lawsuit to Missouri’s regulation and U.S. District Judge Beth Phillips heard the case in April and is expected to issue a ruling soon.